During each of five sessions, students responded both verbally and physically to a specific painting . 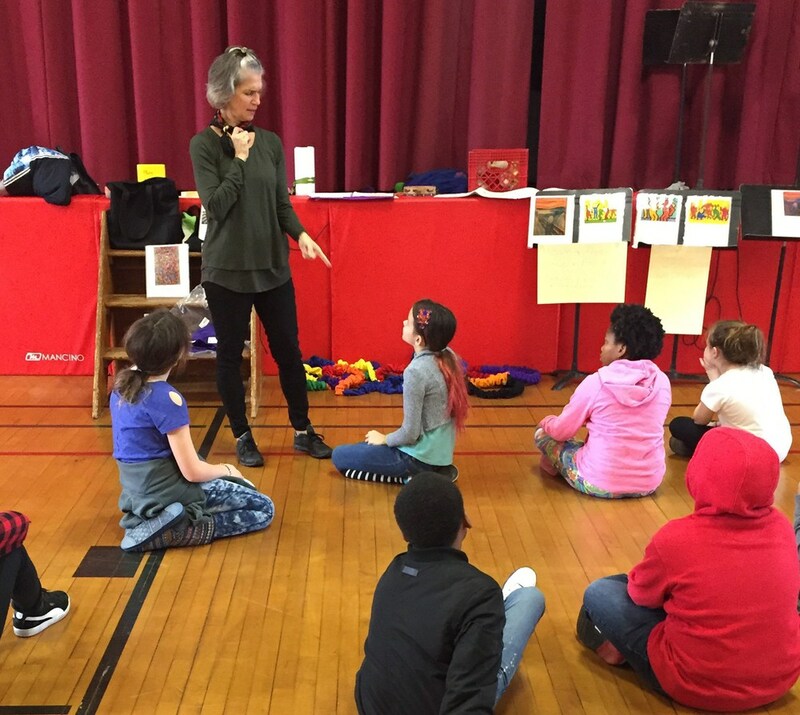 To prepare for the session's movement activities, Ms. Soltes Stein led a 10-minute body training program, called Brain Dance, which provides a full body and brain warm-up. 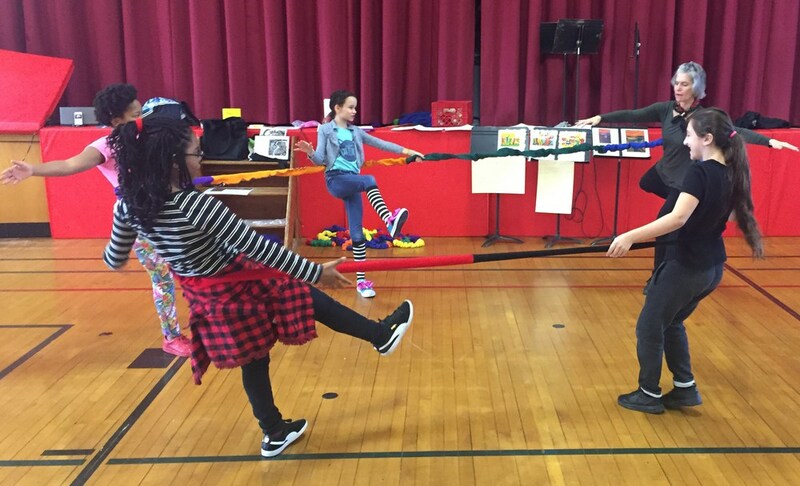 Over the course of the project, the students worked in small groups to create movement studies inspired by a visual artwork. They also explored using the body and props according to well-known dance-making theory and practice. The project's list of visual art masters included Mondrian, Keith Haring, M.C. Escher and Edvard Munch. For example, in Session One, Ms. Soltes Stein and the students explored the geometric elements in the abstract artwork of Piet Mondrian. The teaching artist gave each students a piece of paper and instructed them to write “start” and “finish” on it. Next, the students drew lines in-between the two words. 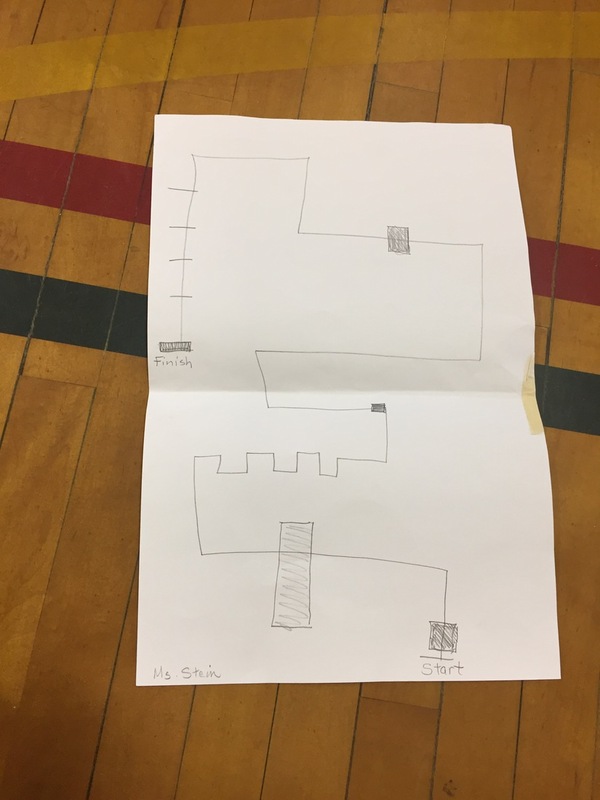 They were able to see that they could use their creation as a map for getting across the room. Afterwards, the teaching artist placed students in different geometric shapes (ie, squares, rectangles). Working in small groups, the children composed movements using their Mondrian-inspired maps. “As they watched their classmates’ dances, the students had to think and articulate what they were seeing,” noted Ms. Soltes Stein. 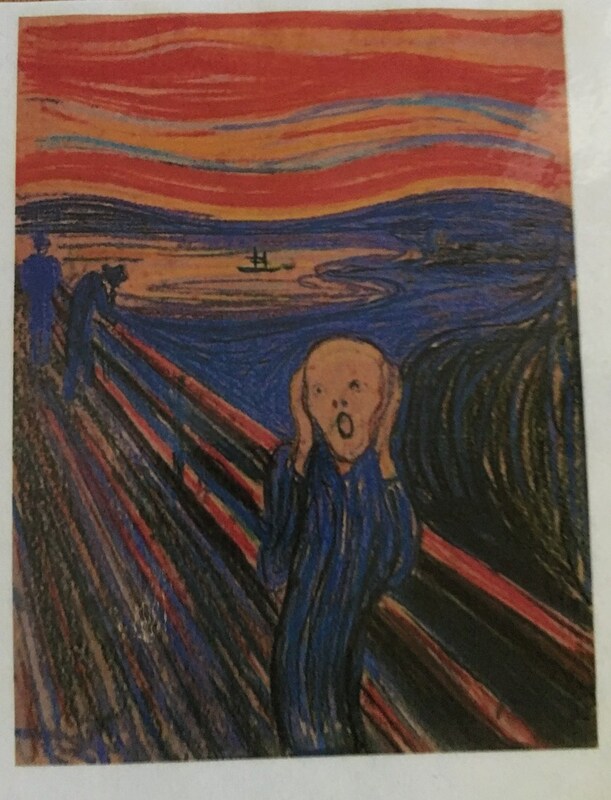 In Session Four, the teaching artist and students discussed “The Scream” by Edvard Munch. The students were able to associate specific emotions with the painting, which created a foundation for an activity centered on facial emotion. 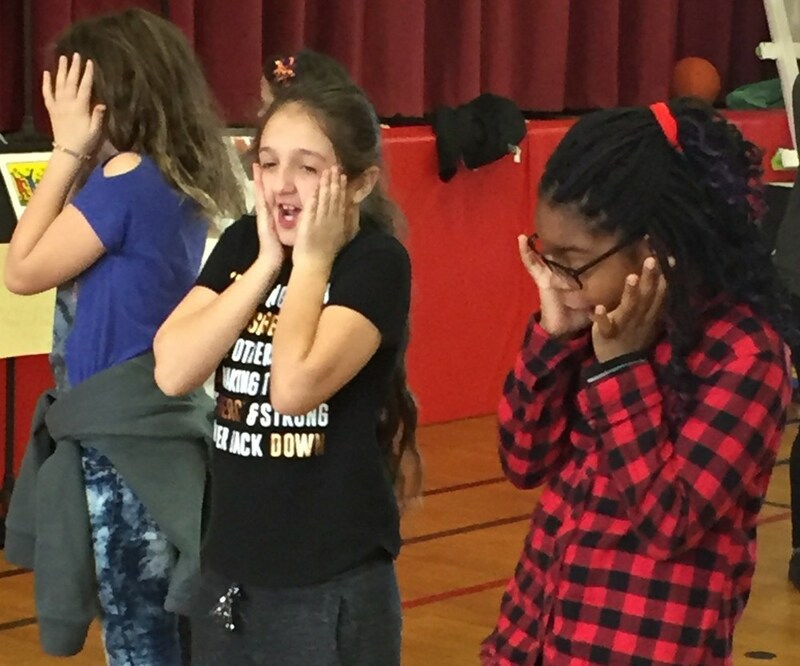 Specifically, students displayed a range of facial expressions, from neutral or no feeling to an extreme feeling. During this process, Ms. Soltes-Stein invited the students to walk through “the doorway of imagination and invention.” The phrase drew excitement and anticipation from the students. It empowered them to take chances and be expressive. 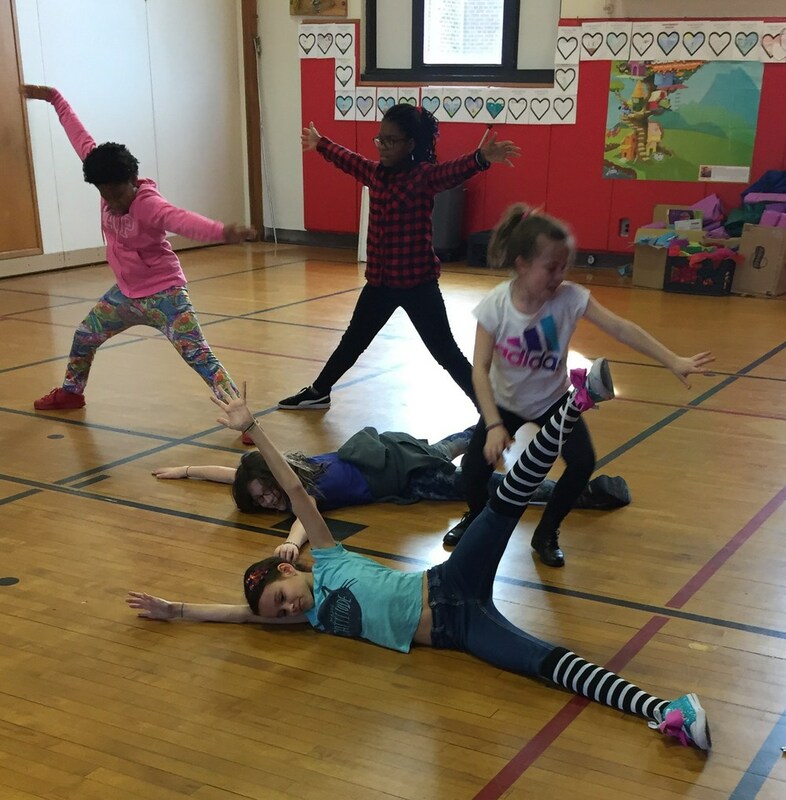 Next, the teaching artist guided the students in the creation of a full body movement, incorporating the movement inspired by M.C . Escher’s symmetry and perspective with those inspired by Munch’s “The Scream." 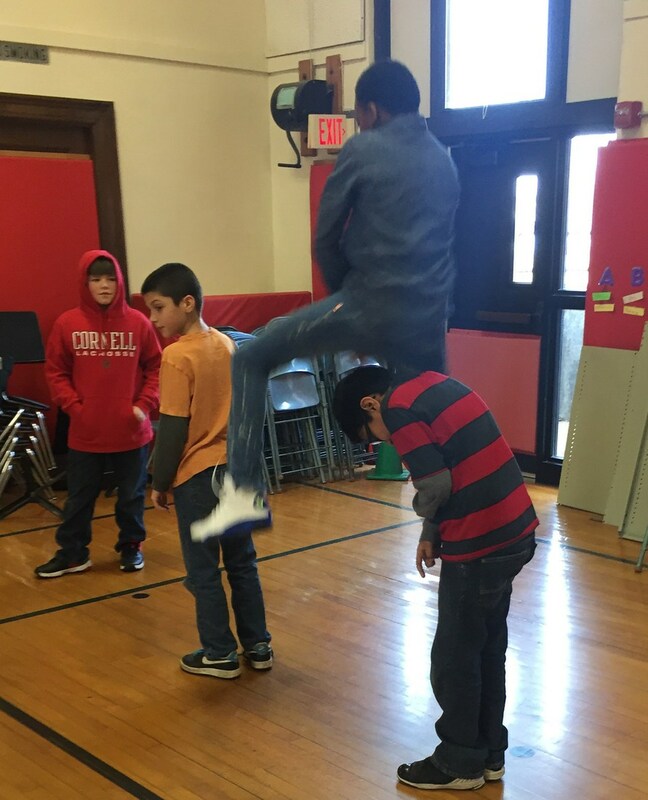 The students were asked to stand straight as a pin and round as a ball. They did so easily. 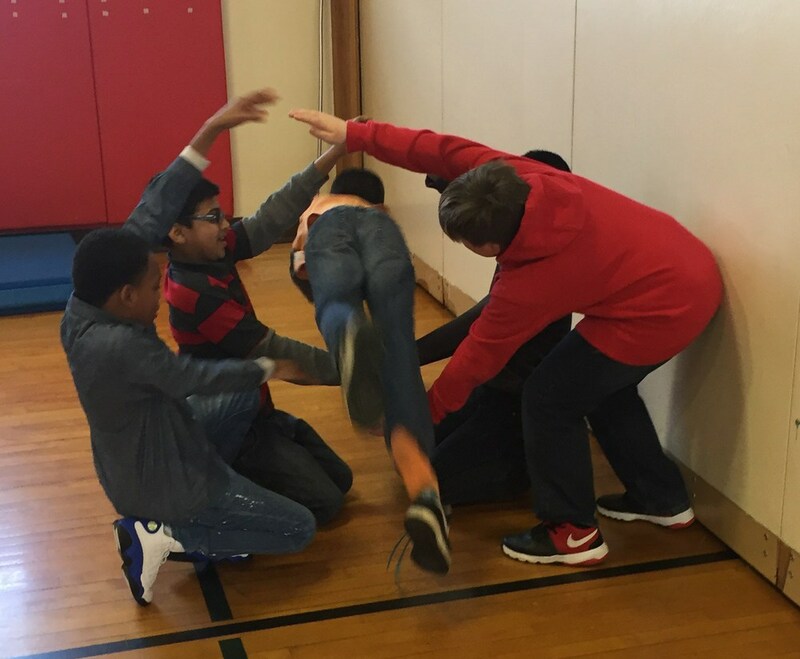 Ms. Soltes Stein then directed the class to create group movements depicting the concepts of over, under, around and through. 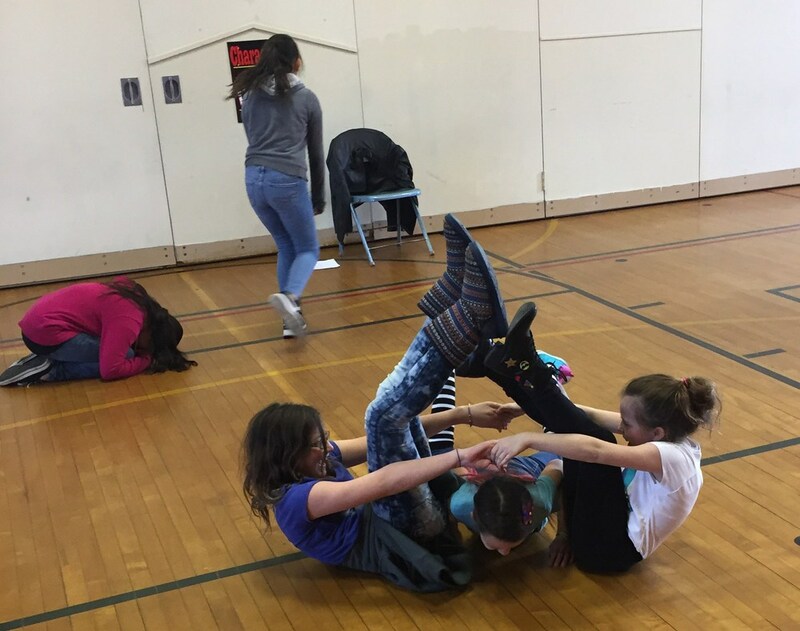 Students eagerly leapt over each other, crawled through each other’s legs and created complex body bridges. The moves challenged even the most nimble. The teaching artist encouraged and applauded their efforts. She also made frequent connections to the artwork and the upcoming performance.